March 10, 2018 - 12th Annual Kids Fitness Festival! The 12th annual Kids Fitness Festival will be held on Saturday, March 10, 2018 at Whitman Hanson Regional High School. This is an indoor event where families can have fun while sampling healthy food samples and trying new activities. 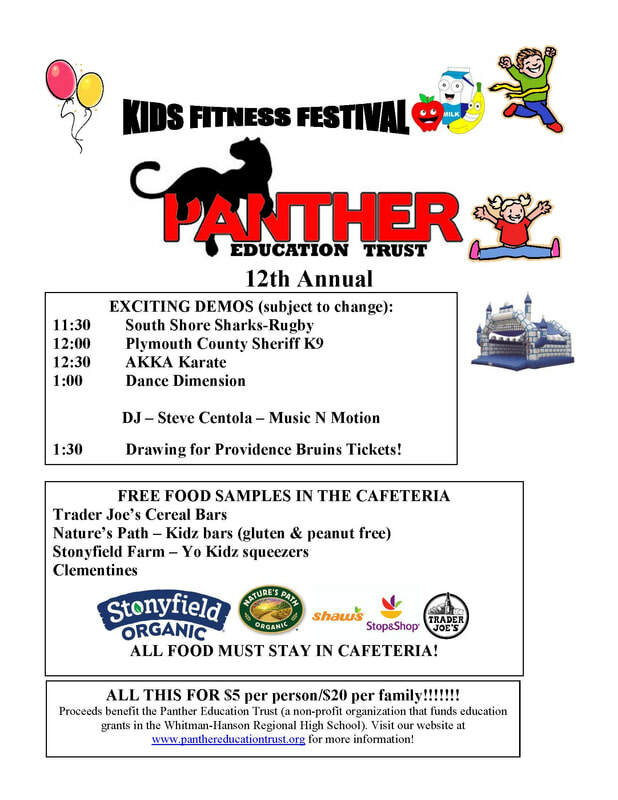 We will have an obstacle course, dance and karate demonstrations, fire and police exhibits and a lot more!! Tickets are sold at the door and admission is $5 per person. Proceeds will benefit the Panther Education Trust which provides grants for enrichment programs at the WHRHS.